This technique is a spiral throw and involves a circular movement. 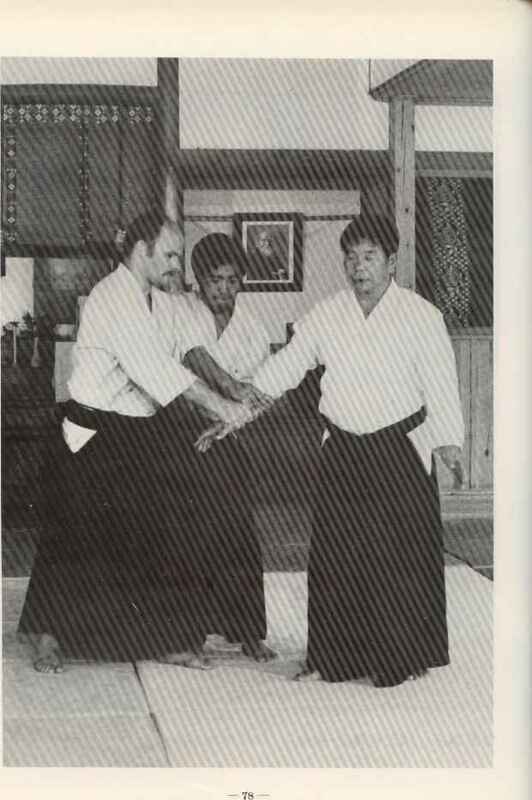 All techniques of Aikido are circular and not angular. This is important to remember. When the opponent attacks you for 1st form, step slightly back with your left leg. Your right hand follows your body, taking his arm over his head as you escape backwards under his arm. Keep your hand in the same position, push forward thus making an arc. At the same time you should catch his right wrist with your left hand. With your right hand press upon his neck and roll him forward. 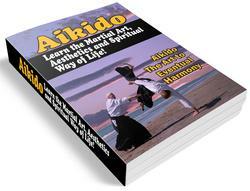 Simultaneously step into him with your left foot, keeping your posture upright.